Polish travelers Agness and Cez of eTramping are two of the most prolific fellow bloggers we know. We are cool friends with the duo, and we invited them to share their cool guide for travelers who want to visit beautiful Banaue! Located in the northern area of the island of Luzon, Banaue is one of the most fascinating places in the Philippines. It is home to the famous Banaue Rice Terraces, the unofficial Eighth Wonder of the World. Yet, the Rice Terraces is not all that Banaue has. With beautiful natural wonders to culturally rich local villages where you can truly experience indigenous Ifugaonon culture, Banaue is a step out of the world you know and into one of adventure. Taking a bus is the best and cheapest way to get in and out of Banaue. In Manila, there are several buses that ply different routes depending on which direction you want to go. The journey lasts around about 10 hours in most cases, with tickets costing between ₱ 350 and ₱ 600 depending on which bus company you choose. You can also book a tour through an agency; this is a good idea of you want convenience or if you’re completely uncertain of what you should do. They can help you rent a van or car, book your stay in Banaue, and more. There are many reliable and well-connected tour agencies available, and virtually all of the guides speak good English. No communication problem there! 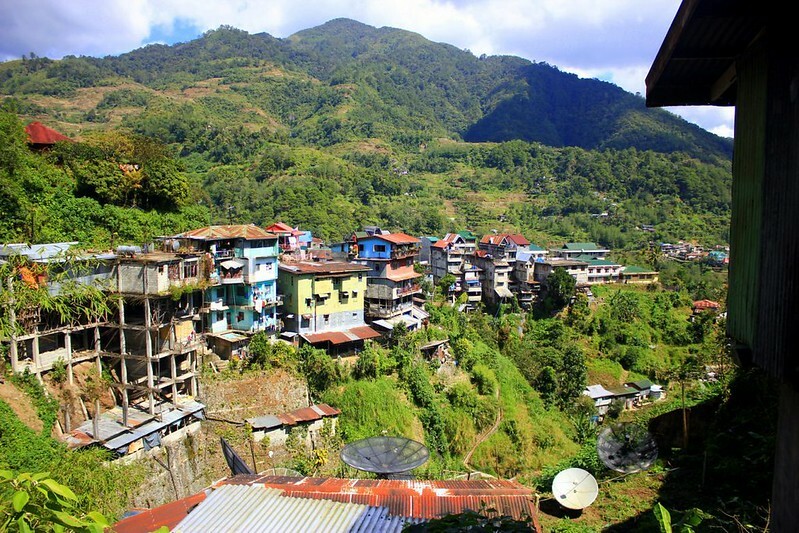 Banaue is known for its natural beauty. As such, the road network is somewhat rudimentary. Basically, it is a single main highway cutting through the municipality and deeper into the Mountain Province. Several roads connecting to the highway. These smaller roads consist of a mishmash of paved streets, uneven roads, or dirt trails. Thus, getting around is an adventure in itself. 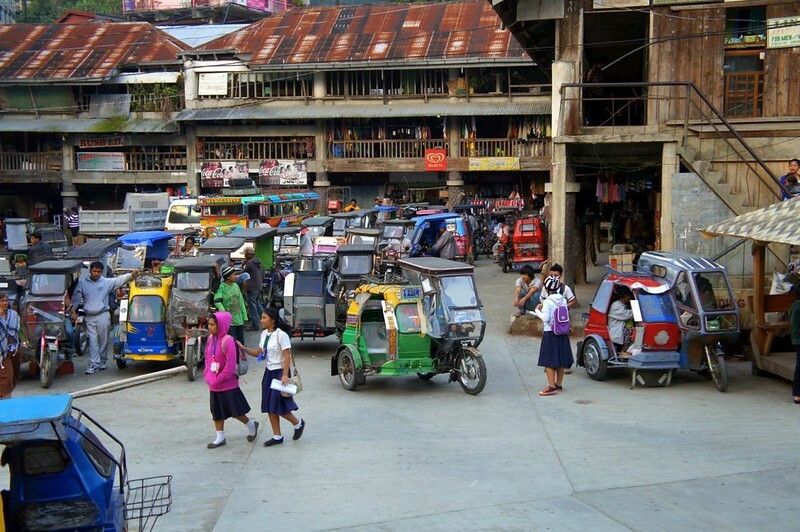 The most common local mode of transportation is the jeepneys. These converted jeep-like buses ply along pre-determined routes in the municipality. Tricycles (motorcycles with side cars) are also quite common, mostly used to travel around the city or shorter destinations. Motorcycles-for-hire, or habal-habals, are the best way to travel through smaller roads and deeper into Banaue. Drivers are almost always knowledgeable locals, and that’s a great advantage. They can show you lesser-known attractions and tell you great stories about their place. If you have an unscratchable itch to explore, you can hire a motorcycle for a day and independently go around. Visit Banaue between the temperate months of August and November. During these somewhat wet months, the rice is fertile and is in full bloom. Thus, the terraces have a beautiful sheen of green. Later than that, you might find that all the rice has been harvested already! Known as the unofficial Eighth Wonder of the World, the Banaue Rice Terraces is the most famous attraction in the region. The Terraces, which extend to a height of 1,500 meters above sea level, were originally created over 2,000 years ago by the Ifugao natives. Because the ancient irrigation system still works effectively, many of the terraces are in good condition and are still used today by local farmers. By virtue of Presidential Decree 260 in 1973, the Banaue Rice Terraces were declared as a National Cultural Treasure. Unfortunately, as society becomes more modernized, more Ifugaonons find farming a less appealing way to earn a living. Many of them migrated to work in cities and elsewhere. As a result, several terraces have started to lose their prominence, with their outer edges falling into disrepair. If you’re planning to visit them, make sure to keep a whole day free. 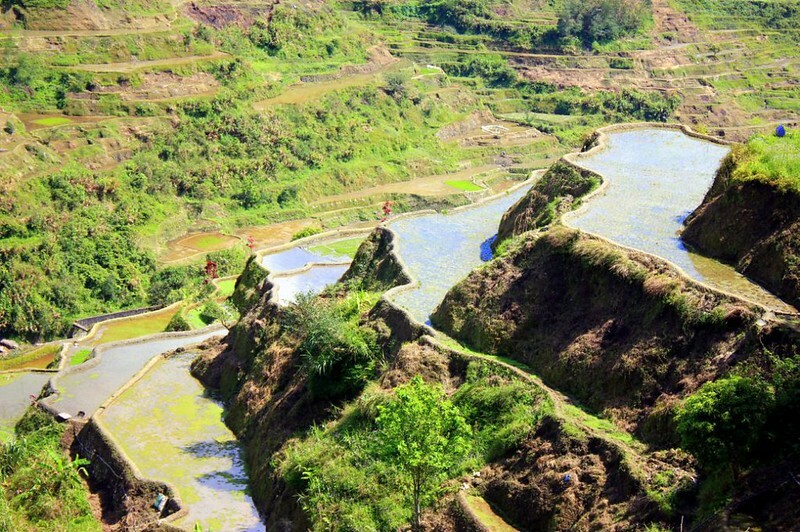 Walk through the Banaue Rice Terraces, interact with locals, and take incredible pictures. Getting to beautiful Tappiya waterfalls requires a moderately strenuous hike that takes 1.5 hours, but the payoff is more than worth it. Make sure you wear good and strong trekking shoes with a good grip since the trail is slippery in places. You can hire a guide from the area for a relatively low price, but make sure to tell them to take you through the standard route so you don’t miss out on anything. The Awa View Deck sits atop one of the highest peaks of the Banaue Rice Terraces and offers an encompassing view of the entire area. It takes two to 3 hours to walk through the terraces to get to the view deck. A lot of trails crisscross the main trail, so it is a good idea to hire a guide to take you the right way. Head to the foot of the Rice Terraces and visit one of the small tribal villages. Purchase exquisitely made handmade souvenirs such as mugs, home decors, kitchenware, and more. Don’t forget to buy Ifugaonon purses, scarves, headgear, and other cloth products. These precious stuff are made in the traditional way, practiced since time immemorial. Each purchase you make is not just a boon to the local economy but also helps in preserving their way of life. Make sure to bring cash with you. You won’t find any ATM machines here! Phone signal isn’t the best in the area. In some areas, you probably won’t have any signal at all. 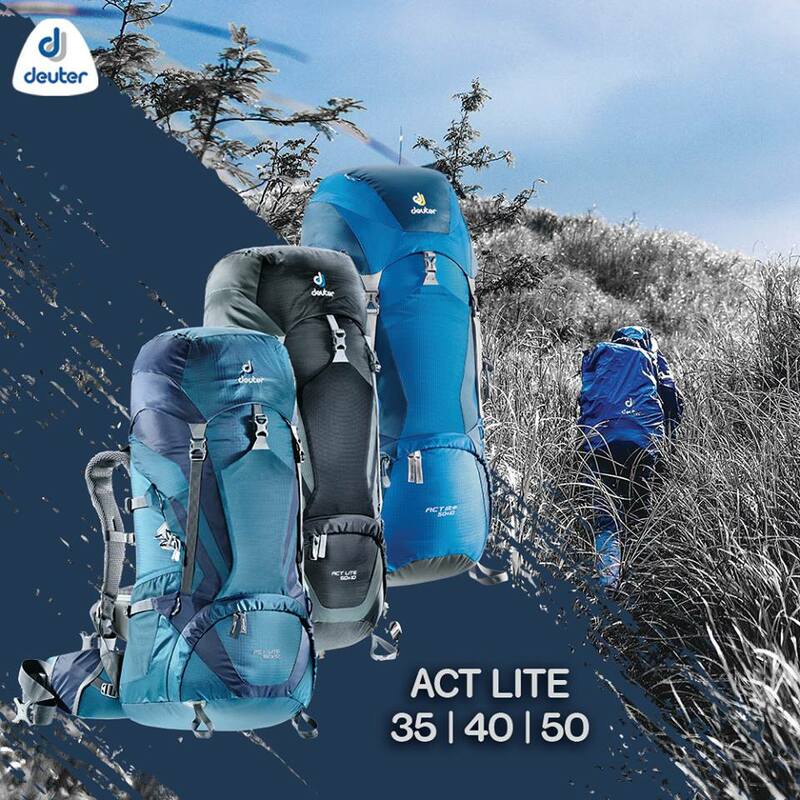 Let trusted people know where you are when you go out hiking. Bring a warm jacket to the higher altitudes. Banaue is mountainous, and once you start reaching higher altitudes, it can drop pretty quickly. Proper trekking shoes are a must if you plan to walk around the Terraces and other off-beaten paths. Not only will they prevent you from slipping all over the place, they’ll also make your hike a lot more comfortable. Banaue has a unique living and breathing cultural landscape. Along with many other cultures and places in the Philippines, it’s a perfect place to experience an indigenous way of life. For those who want to uncover those cultures like a real-life Indiana Jones, Banaue is the perfect place to start. All photos courtesy of Agness and Cez. Banaue have been sitting on my bucketlist for the longest time… Fernweh was triggered by this blog. It’s really a beautiful place. We’re planning to go back there for a cultural immersion adventure. Can you hit me up? I would really love to join. I would’ve completely missed out on Banaue if I hadn’t come across your post! The Philippines is one place I’d really love to visit. Thanks for this guide, especially the part on getting around the place with motorcycles and where to buy the handicrafts. I need to see the unofficial 8th wonder! Beautiful photos! Looks like a place to put on the list for sure! How is early August there? Ah I love seeing more and more polish people traveling 🙂 ( as I am polish as well ) . Ive never heard about Banaue but it looks so wonderful there! Those waterfalls and rice terraces sounds amazing! I really need to start planning my trip to Philippines! Nice! 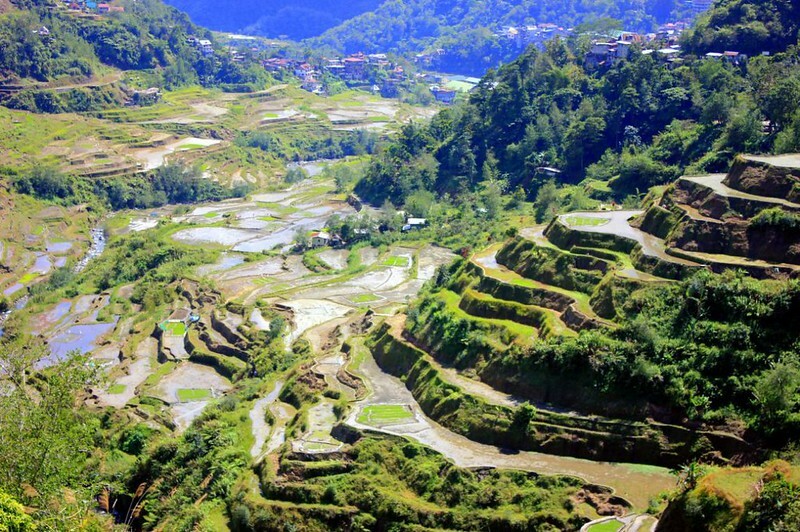 The Banaue Rice Terraces is one of our historical and cultural heritage sites. Please do visit these terraces if you have the chance. Indonesia is so famous for its rice terraces, but I had no idea that the Phillipines had such beautiful versions as well. Banaue looks like a wonderful adventure in the country showing some of the true local culture. That’s right. We have experienced a cultural immersion in the rice terraces of Valderama, Antique, a lesser-known version of Banaue. The experience is really an eye-opener. I want to see terraced rice fields so bad. I am sure it looks amazing in full yield before they harvest it. Being able to combine the waterfall on the trip would be a nice touch as well. We need to move these cities up our list. The best adventure to do here is to spend a couple of days to live with the locals during rice harvesting/planting season. Cultural immersion is really an interesting activity. Philippines looks so beautiful and I definitely want to visit there in a near future. Rice fields are something I have never seen, and I have also seen so many beautiful beach photos from there. Great pics! I am always bowled over by the sheer range of places and natural beauty that the Philippines has. Banaue is another gem and different from the other gorgeous islands and beaches. I am particularly fascinated by the spectacular rice terraces. My compliments for them both ☺! Is it possible going from Banaue to Batad via habal-habal? And if yes, how much? We’re not sure. We haven’t tried it that way. We do know that there are tourists there who rent motorcycles to tour around Banaue and Batad. We would suggest visiting Banaue’s tourism office for more info.